Recently, I saw this fashion board on Pinterest called "A Girl should be Two Things-Classy and Fabulous." Being a trans girl, I added a third because we transgender women have to try harder. We have to be Fabulous, Classy and Act Like We Have Been Here. 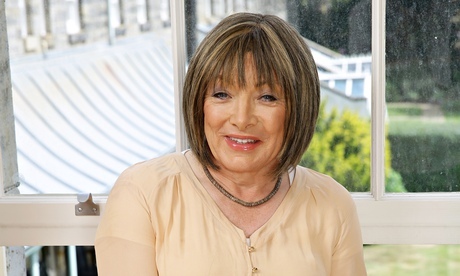 It's nearly impossible for me to pull up an example, but I am going to use boxing legend Kellie Maloney (left) who went through a publicized Mtf gender transition in 2014. Kelli looks genuine, happy and like she belongs. So, when I read comments from haters within our community who want to emphasize ONLY appearance. I was watching a show on Oxygen called Living Different . The show features several different generics including one who is in love with a Ftm transitioning transgender man and one of the most androgynous models I have seen-known as Rain. "Rain" dates both genders and in the show had one of her prospective photographers (generic) locked eye to eye. My sister in law was watching it with me and said the photographer without a doubt would go out with Rain. I said not so fast...when I meet civilians, many times I can see they are locked "onto me". I am "fabulous" because they have never met anyone like me, not because they want to run off and do insane things with me. Class follows quickly because indeed I need to downplay any idea I am brave or courageous because I am living life on my terms. Finally, I have to be calm and play the moment because most of the time I am the teacher. Fortunately I can, because increasingly I have been here and are doing it. It's just another reason I believe in attitude over appearance when we transgender people interact with the world.